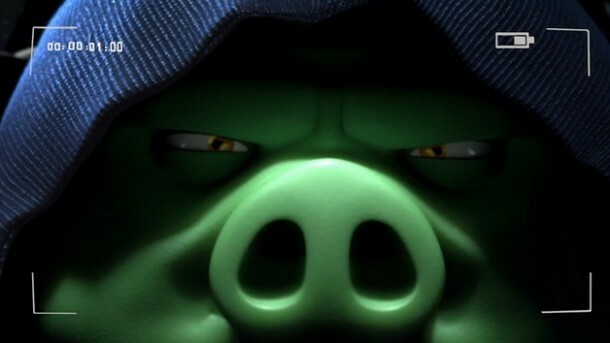 The Angry Birds juggernaut is continuing to steam roll on your mobile devices. After the huge success of the first Angry Birds Star Wars, Rovio decided to make a sequel appropriately called Angry Birds Star Wars II which is coming out September 19th. A new teaser trailer and behind the scenes video have been released to get you amped up for the eventual release of the popular bird slinging app. You may be wondering what exactly is going to be new in Angry Birds Star Wars II. Well, this time around there is to be over 30 different Star Wars characters being represented by birds and piggies alike of which Rovio is going to start announcing who they are in gameplay videos starting next Monday, August 26th. But these new characters aren’t the only new thing Angry Birds Star Wars II is adding. For the first time in Angry Birds history (aside from Bad Piggies I suppose) you can now play as the piggies themselves which is going to add a whole new dynamic. Rovio also is teaming up with Hasbro to bring telepods which is a new toy/mobile gaming collaboration where you can import actual physical Angry Birds figurines into the game itself. All in all Angry Birds Star Wars II is starting to look like another slam dunk for Rovio and actually has a lot of new features that are very exciting. Look out for release in September when it gets released for Android as both a free version with ads or the non ad version for $0.99 and contemplate joining the Porkside.